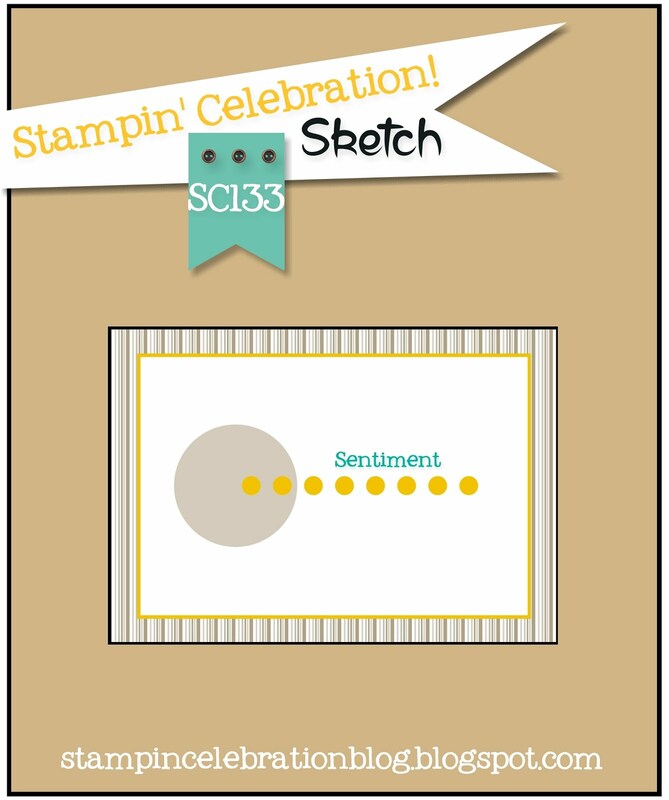 Welcome back to Stampin' Celebration and the August Sketch Challenge (SC133)! I was able to preorder some items from the Stampin' Up! 2016 Holiday Catalog and I couldn't wait to use the new Paisley Suite of products!! I am a fan of paisley and so when I saw this stamp set I knew it would be given a lot of love this fall! 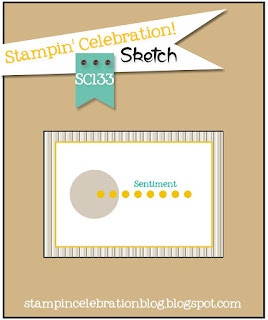 I also love that Stampin' Up! introduced copper mettalic products into the 2016-2017 Annual Catalog! They did not disappoint when they added copper foil to the 2016 Holiday catalog!! So for this challenge I wanted to incorporate copper and paisley into the design. I have to be honest, it took a whle to get this to where I wanted it to be. Usually with a sketch challenge I have an easier time developing a card. For this one, perhaps I was restricting myself too much, bt I finally got it to where I was happy with the end result. The color combination is Copper, Bermuda Bay, Cajun Craze and Tangerine Tango on a background of Very Vanilla. I took the colors from a combination I saw on Pinterest a long time ago! While I didn't stick with the color combination totally, it certainly was an inspiration to the design. This card uses the Paisley & Posies stamp set and the Paisley framelits from the 2016 Holiday Catalog (sneak peak)!. The greeting is from Rose Wonder and I added the Bermuda Bay sequin trim. I hope you get to play along with us this month! Can't wait to see what you create.